Sears Mastercard® is hands down the best and most lucrative way to take full advantage of Sears’s Shop Your Way scheme, a customer loyalty arrangement that provides frequent Sears and Kmart shoppers with deep discounts on merchandise purchased online and in-store. Like other warehouse club and superstore credit cards such as Target REDcard, Sears Mastercard is intended for use at Sears and Kmart stores. And since it bears the Mastercard marque, it can be used anywhere Mastercard is accepted. It also boasts a lucrative cash back program that rewards cardholders with up to 5% back on select purchases in popular spending categories such as gas stations, grocery stores, restaurants, and Sears and Kmart stores. 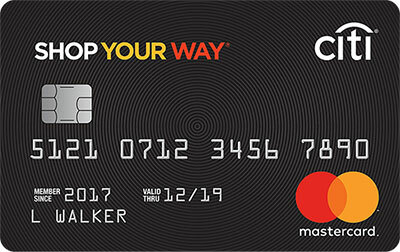 To take advantage, you simply need to apply for this credit card (which is available to applicants with average credit and better) and join the free Shop Your Way program. Despite a lucrative (if temporary) rewards program, Sears Mastercard doesn’t have many of the trappings of a traditional credit card. For instance, there’s no introductory APR promotion, nor are there many benefits not directly related to Sears and Kmart shopping. And Shop Your Way points can only be redeemed for discounts on Sears and Kmart purchases, not hard cash, travel, or other popular redemption items. On the bright side, this card has no annual fee, so there’s no downside to keeping it in your wallet and using it only when shopping in favorite merchant categories. Plus, it’s available to applicants with less-than-perfect credit, so it’s a solid choice for those looking to build or rebuild their credit. Interested in Sears Mastercard? Here’s what you need to know about its features, advantages, disadvantages, and overall suitability. Through 5/2/18, you earn a $150 statement credit when you spend at least $1,500 in eligible purchases within the first 3 days your account is open. Ineligible purchases include deferred interest and major purchase plan purchases. The 5% and 3% categories are capped at $10,000 in total lifetime spending. Once you cross that threshold, purchases in all favored categories (gas stations, grocery stores, and restaurants) earn unlimited 10 points per $1 spent. Once your account has been open for 12 months, the 5%, 3%, and 2% categories disappear, and all eligible card spending earns a flat 1% cash back (10 points per $1 spent). It’s therefore in your best interest to max out spending during the first year. Shop Your Way points are worth $0.001 apiece at redemption, meaning it takes 1,000 points to get $1 off. You can redeem your accumulated points for discounts on merchandise at Sears and Kmart stores and websites, but you can’t redeem for hard cash or other items. As a Sears Mastercard cardholder, you’re entitled to no-interest financing on select Sears and Kmart purchases for 12 months from the date of purchase. There’s usually a minimum dollar amount involved, as well as category or brand restrictions, so don’t forget to read the fine print on each offer. In addition to no-interest financing on big-ticket purchases, Sears Mastercard cardholders can take advantage of exclusive offers on a variety of Sears and Kmart purchases. These generally entail off-the-top discounts (5% is a common figure) on major appliances, televisions, and the like. 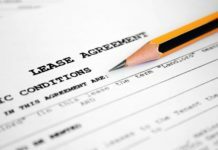 Be sure to read the fine print about offers’ duration and limitations before you buy. There is no annual fee. Foreign transaction fees cost 3% of the transaction amount. Cash advances cost the greater of 5% or $5, while balance transfers cost the greater of 5% or $10. Late and returned payments cost up to $37. This card requires average to good credit. Past credit issues won’t necessarily disqualify your application, though severe blemishes are likely to cause problems. No Annual Fee. Sears Mastercard has no annual fee, meaning you don’t have to worry about the cost of keeping it in your wallet for occasional use. Solid Sign-up Bonus. This card’s sign-up bonus is pretty attractive: a $150 statement credit when you spend at least $1,500 in eligible purchases within the first 3 months. That’s in line with some of the country’s leading cash back credit cards. No Penalty APR. Sears Mastercard does not have charge penalty interest, even if you miss your payment due date due to an unexpected cash crunch or larger-than-anticipated emergency expense. Though the gap between this card’s regular interest rate and the penalty interest rates typically charged by other rewards cards isn’t huge, this omission can still save tardy cardholders substantial amounts of money in the long run. Opportunity to Earn Unlimited 5% Back. For 12 months from your account opening date, you can earn unlimited 5% back (50 Shop Your Way points per $1 spent) on gas station purchases with this card. That’s an excellent earning rate that’s higher than many comparable cards’ highest cash back tiers. For instance, the BankAmericard Cash Rewards Credit Card‘s top tier only earns 3% back. Exclusive Offers for Cardholders. Sears Mastercard cardholders get exclusive access to a slew of special and exclusive offers, including up to 5% off big-ticket electronics and appliances or interest-free financing on such purchases for 12 months. If you take full advantage of these offers, at least on purchases you were already planning to make, you could save hundreds. Loose Underwriting Standards. This card has relatively loose underwriting standards, at least compared to industry-leading cash back credit cards such as Blue Cash Preferred from American Express and the Capital One Quicksilver Cash Rewards Credit Card. Can’t Redeem Points for Cash. One of the biggest drawbacks of this card is the fact that you can’t redeem Shop Your Way points for hard cash. Since cash is obviously the most versatile type of credit card reward, any card that doesn’t allow cash redemptions does its cardholders a disservice. No Intro APR Promotion. This card doesn’t have a 0% APR introductory promotion for purchases or balance transfers. That’s a big drawback for new cardholders who need to finance big-ticket purchases (such as home improvement projects) or get a handle on higher-interest credit card debts with a welcome balance transfer. Can Only Redeem Points at Sears and Kmart. Forget about cash – you also can’t redeem your accumulated Shop Your Way points for travel, gift cards, or non-Sears merchandise either. If you’re a frequent and loyal Sears and Kmart shopper, this might not be a huge disadvantage, but chances are you’d prefer a more versatile lineup of redemption options. Cash Advances and Balance Transfers Are Expensive. Sears Mastercard isn’t the ideal balance transfer or cash advance vehicle. Both types of transactions are unusually expensive with this card: $10 or 5% for the former, and $5 or 5% for the latter. If you’re looking for a card that cuts you a break on balance transfers and cash advances, look to low APR options such as Chase Slate, which has a long 0% APR promotion and waives balance transfer fees for 60 days from sign-up. Despite continuing financial struggles, Sears and Kmart remain household names. There’s a decent chance you live within driving distance of one or both outlets. And, if you have an Internet connection, you can shop online with either brand at any time of the day or night. However, just because you can easily shop at Sears or Kmart does not mean you should run out and apply for Sears Mastercard®. This product is meant for loyal, frequent shoppers who appreciate Shop Your Way Rewards’ discounting power and spend heavily in the favored (5%, 3%, and 2%) categories. If you’re an occasional Sears or Kmart customer, or you simply prefer a credit card with a more versatile rewards program, keep looking. Sears Mastercard® is ideal for loyal Sears and Kmart shoppers who spend heavily at gas stations, grocery stores, restaurants, and Sears and Kmart outlets/websites. Thanks to relatively lax underwriting standards, it’s also a solid credit-building tool (separate and apart from the temporary rewards program). Sears Mastercard isn’t a great choice for people who want permanent rewards, nor those seeking versatile rewards that include cash redemption options. Benefits include the lack of an annual fee, the lack of a penalty APR, return on spending up to 5% during the first year, exclusive cardholder offers, the solid sign-up bonus and loose underwriting standards. Drawbacks include the inability to redeem points for cash, the requirement that points be redeemed at Sears or Kmart, the lack of an introductory APR promotion, and the expensive cash advances and balance transfers. Overall, this is a fine credit-building tool and a strong rewards contender for Sears and Kmart loyalists, but many other rewards cards are superior.